Impact resistant! 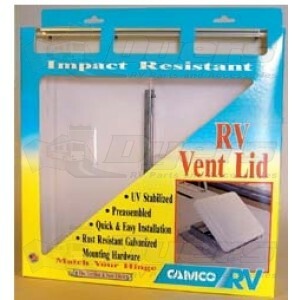 Polypropylene 14" x 14" vent lids for non-powered roof vents come pre-assembled for quick installation. Rigid center post for added support and durability. Good buy! This lid is much sturdier than the original one! Easy to install also!